Following eight releases and over a year of label parties at East London venues XOYO and The Nest, Grand Hotel Records seems to have been gathering pace on a day-by-day basis since its inception. Key support from A-Trak, Annie Mac, DJ Zinc, Carl Cox, Arman Van Helden, Orbital, Fatboy Slim, Crookers, Moby and Annie Nightingale has secured the label as possibly one of the most promising underground imprints around. 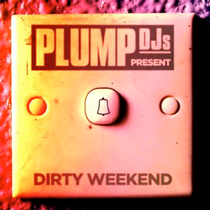 Now, presented by the Plump DJs, Dirty Weekend is the seventh compilation from the London based duo and arguably their best to date. The hour-long mix bounces through a magnitude of genres taking the listener on trip into the minds of label bosses Gardner and Rous. Featuring Grand Hotel’s stand out tracks, reworks and original pieces by inspirational artists Loops of Fury, RESET!, Bonsai Kat, Marten Hørger, WAFA, Blatta & Inesha, Nom De Strip, Orbital, Submo, Stonebridge, Mark Ronson and Moby, Dirty Weekend is a good example of Plump DJs mission to find new ways to make people dance. Dirty Weekend will be available from download stores as a full-length mix and individual, unmixed, DJ-friendly tracks. As well as all the records featured in the mix, the unmixed package will include exclusive remixes from the likes of heavyweight beat-masters Stanton Warriors, Detboi, Peo de Pitte, Urchins and NAPT. It’s out November 26.